To-day the Wey in Guildford is mainly used for leisure activities boating, fishing, cycling, walking and picnicking; all within easy walk of the town centre. To the South the Wey Valley Meadows near St Catherine’s Lock is an SSSI (Site of Special Scientific Interest) and to the North there is the Dapdune Wharf visitor centre and Riverside Park by Stoke Lock. The Towpath is now well maintained through the town and provides a riverside walk along the length of the Navigation. Fishing is also very popular and licences can be obtained from the Environment Agency. 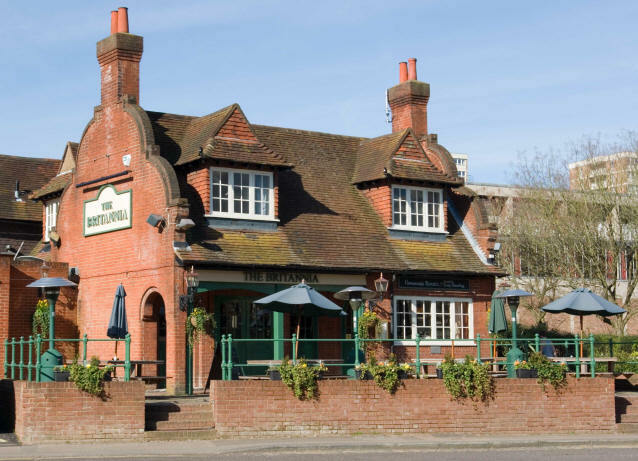 The Weyside Inn has been refurbished to provide more outside tables, as has the Britannia and the White House. 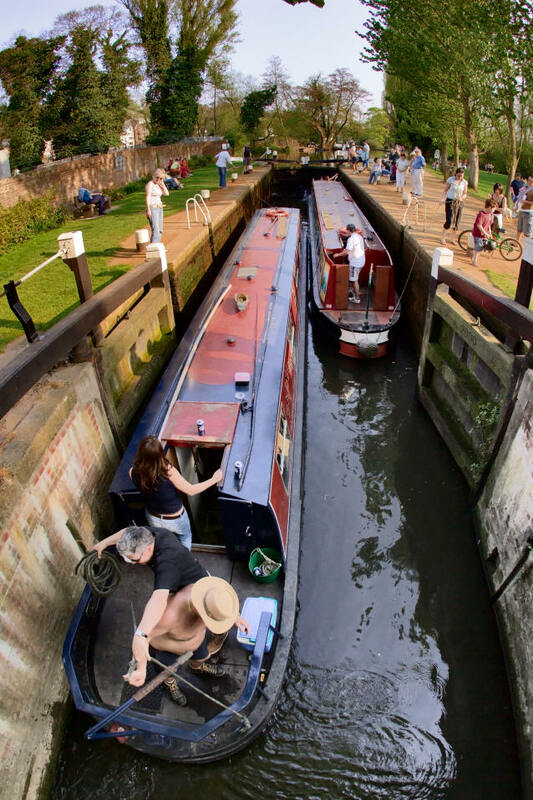 Boating, popular since Edwardian days, was originally available near the Town Wharf (“one minute from the station” it was claimed) and from boathouses near the Jolly Farmer (now the Weyside Inn). The original company Leroys moved to the old chalk quay and since 1974 has been known as the Guildford Boathouse, where canoes and narrow-boats can still be hired . 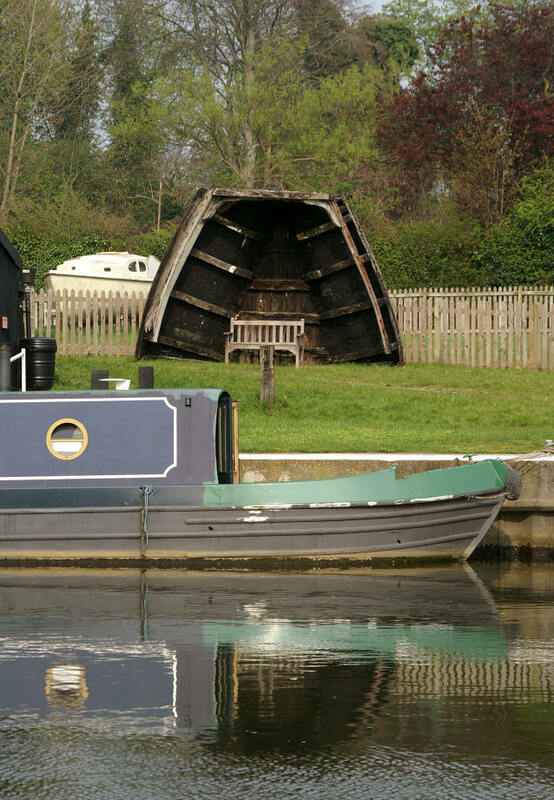 A narrow-boat the “Alfred Leroy” has been converted into a floating restaurant. The Rowing Club was founded in 1883 and is the town’s oldest sporting association. It caters for more serious oarsmen and women. They are frequently seen with their attendant trainer on a bike. 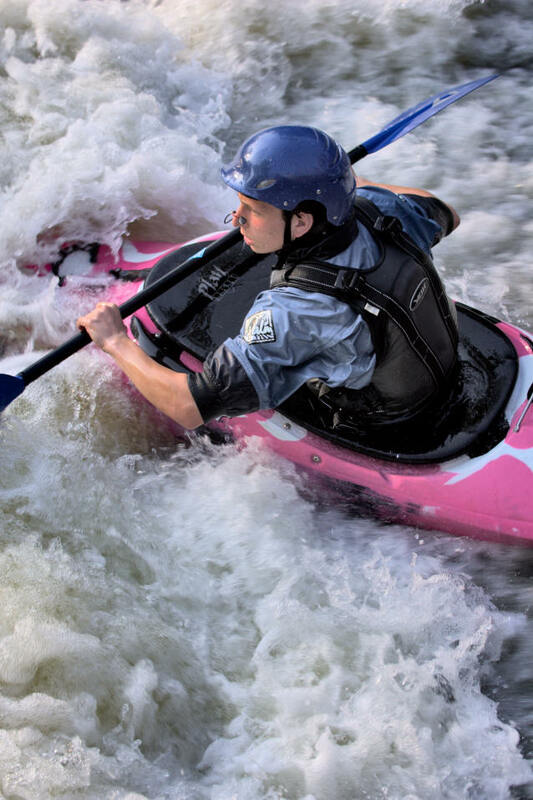 Canoeing is immensely popular along the whole river, but especially at the Millmead tumbling bay, where, if you are lucky, you can find the only white water in Guildford.